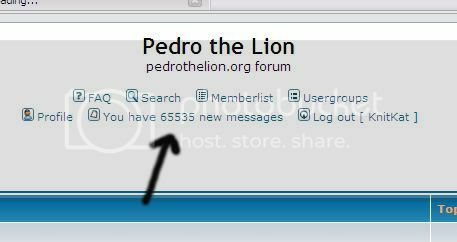 Hey, I got an email telling me I had a PM on 2/08/08. However, when I went to my inbox, nothing was there. Who ever sent it, I didn't get it. Send it again or something. Thanks. It might have been your mom reminding you to take your diarrhea medicine. Just a guess. When you send a message, you can go to your outbox and delete/edit it. Maybe someone sent you a message and deleted it just before you could open it. No one got my poop joke. I'm disappointed in you, .org. i kind of smiled, but didn't comment. when I was younger my dead used to threaten to call the school an ask if I had had my BM yet today. Mattmon wrote: i kind of smiled, but didn't comment. SkeletonRock wrote: No one got my poop joke. I'm disappointed in you, .org.